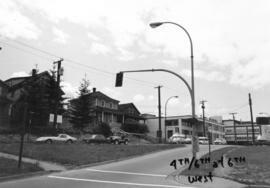 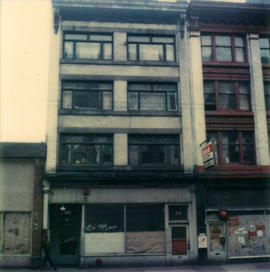 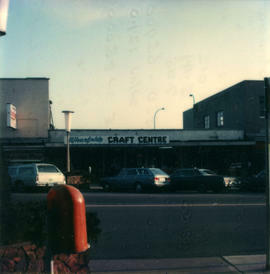 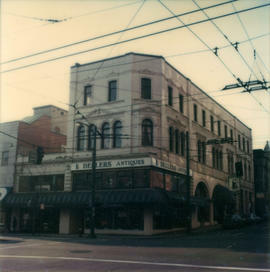 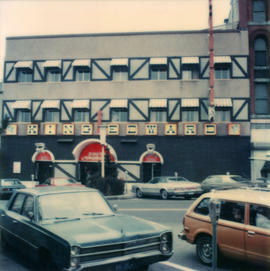 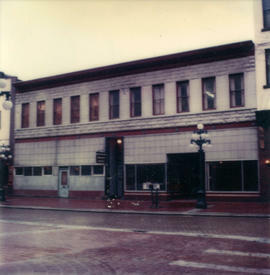 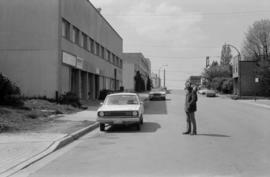 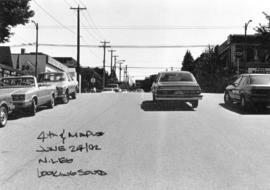 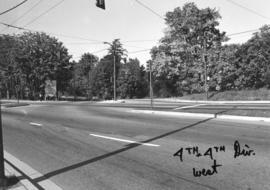 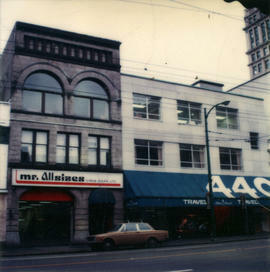 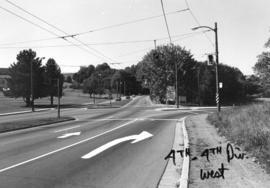 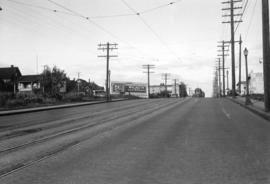 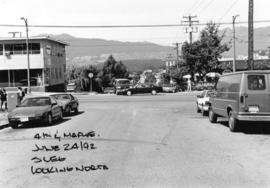 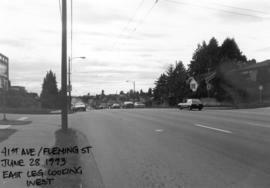 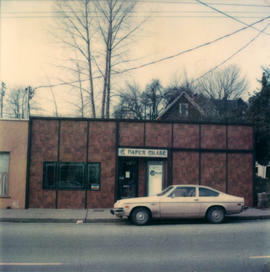 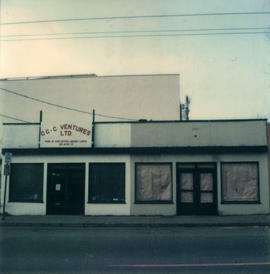 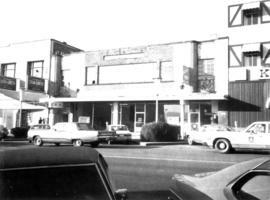 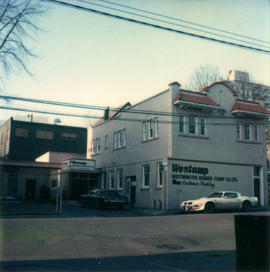 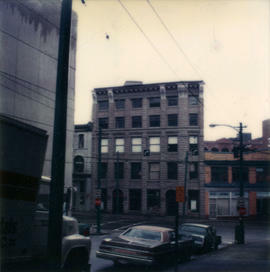 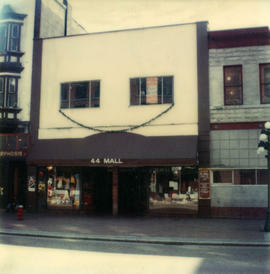 Photograph shows 41 to 43 West Hastings Street from across Hastings Street. 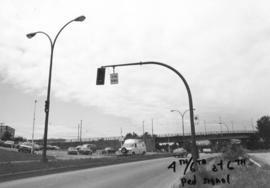 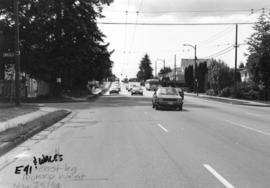 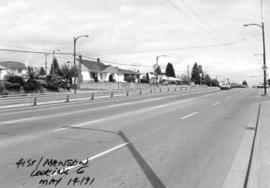 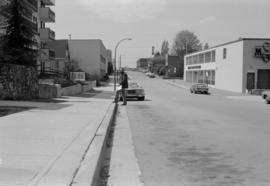 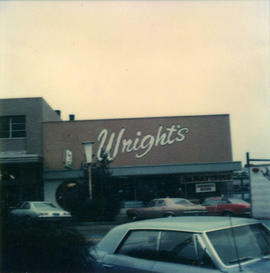 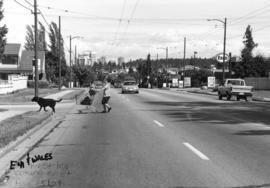 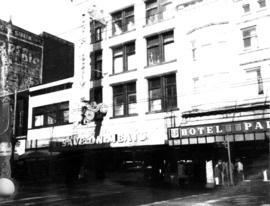 Businesses shown include Save on Meats and the Hotel Strathcona on the left. 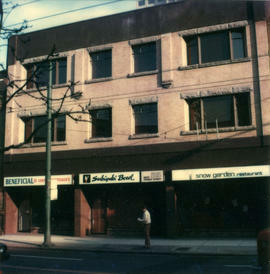 Signs for Beneficial Loan, Sukiyaki Bowl and Snow Garden Restaurant can be seen. 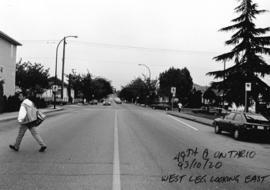 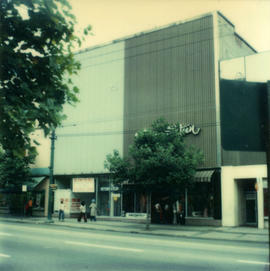 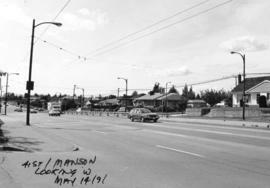 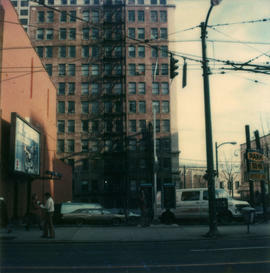 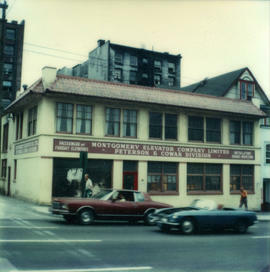 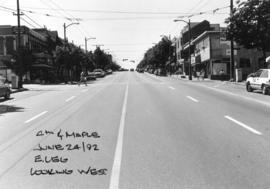 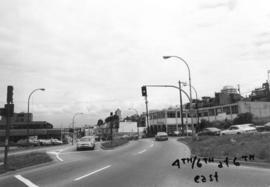 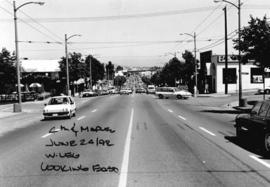 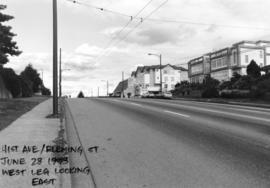 Photograph shows 55 to 57 West Hastings Street from across Hastings Street. 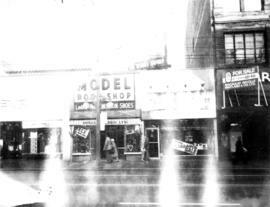 Businesses shown include Model Boot Shop. 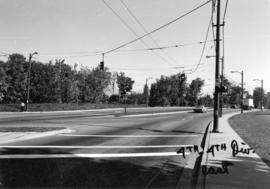 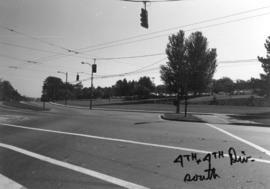 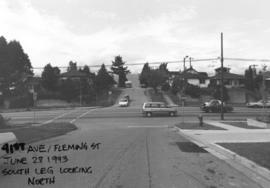 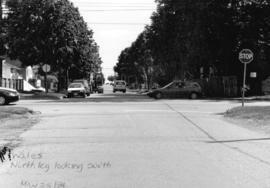 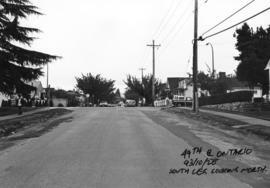 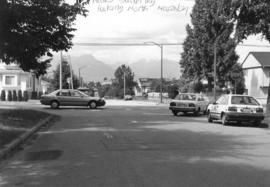 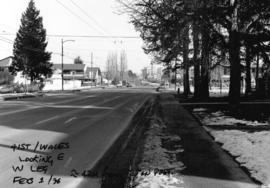 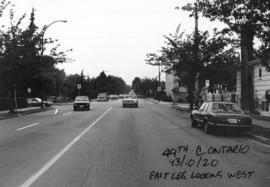 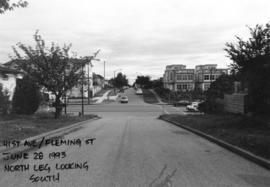 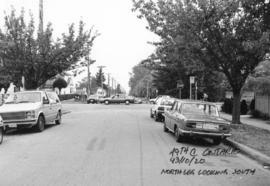 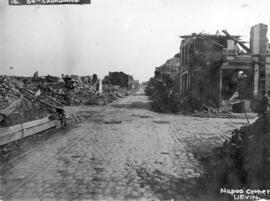 House shown on left of photo is 324 E. 5th Ave.